Tru-Spring springs are designed specifically for the Tru-Spring armature bar system. The springs are shorter then conventional springs and are not intended to be bent. 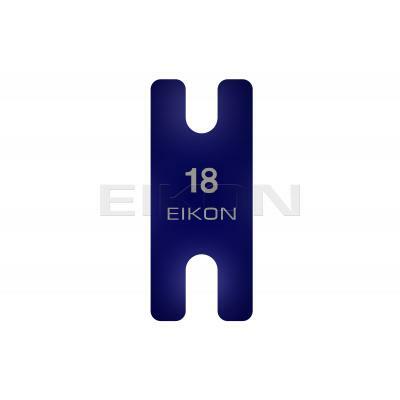 All Eikon springs are slotted for easy installation and removal. Punched from precision ground polished high carbon spring steel or blue tempered high carbon spring steel. Tru-Spring springs are 1/2" wide. Tru-Spring Blue Tempered High Carbon Springs are available in four thicknesses - 0.016", 0.018", 0.020", 0.022".